The ultra-creative folks over at Wolfe Air have innovated aerial cinematography once again with their recent shoot for the airline Emirates. 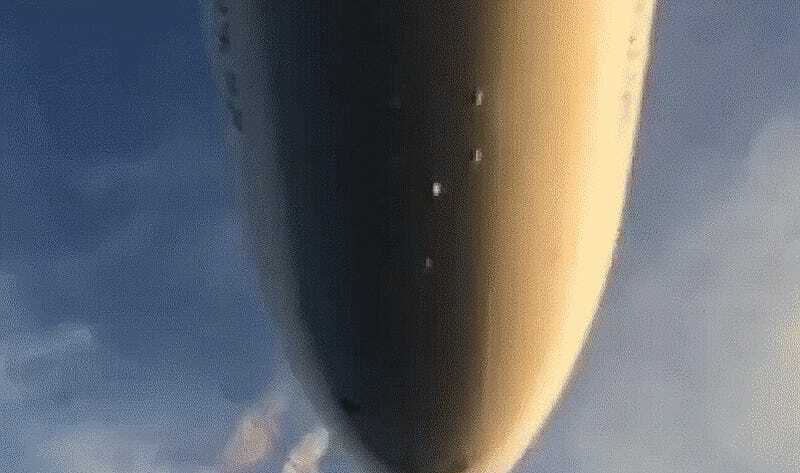 The crazy footage of the 777 below was captured raw with an iPhone from the cockpit of Wolfe Air’s modified Learjet, but the actual shot will be in super high definition. The shot is called the Star Wars shot because it mirrors the iconic opening scene of Star Wars where the Star Destroyer flies ominously right above the camera and never seems to end. I have to say, sitting in a comparatively tiny Learjet as a huge 777 approaches from the rear and just a couple dozen feet above you must have been, well, nerve-wracking to say the least. Even Mel Brooks’s Spaceballs spoofed this moment in movie history.